I first heard Thee Satisfaction in the months leading up to their brilliant official debut album “Awe Naturale” (2012) which ended up at number five in my Top Ten Hip-Hop Releases of the Year. Since then the Seattle duo have released two EP length tributes to Erykah Badu and Anita Baker, this release is seems like a simialarly stop gap release but does give some indication of what their second album might sound like. The EP opens with ‘MasterKey’ which combines a truncated electric piano and vocal loop, that resolves every four bars (the vocal sings the word ‘key’). Thirty five seconds in the loop gets cut up over a hip-hop beat. The feel of the track (like most of Thee Satisfaction’s work) is organic both rhythmically and aesthetically. It’s followed by ‘Queen County (4 Women)’ featuring Gift Uh Gab & JusMoni the first track indicates the evolution of their sound with its a slippery electronic hip-hop beat and cowbell, delayed electric piano chords. The girls lead vocals and harmonies over the top, some parts of the vocals are also put through a delay. 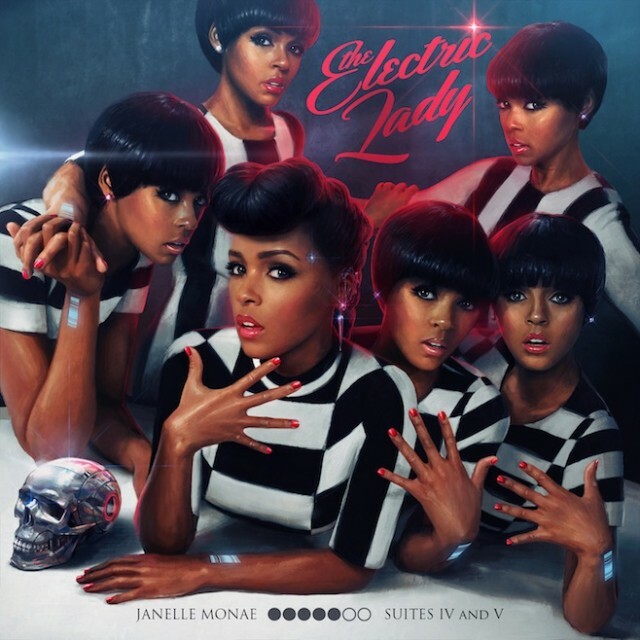 The guest rap verses comes in around two minutes adds a tough contrast to the delay electric piano and vocals. Interestingly there’s lyrics about drugs, something new for Thee Satisfaction. Another change of pace is ‘Five Things: Uncle Tom Foolery’ with its long brass stabs that play around a simple flute melody with a beat underpinning them and a spoken word sample that tells Black people what they should do to fix the racism problem. The music reminds me of early Gil-Scott Heron. ‘MARTIN’ utilises a distant weird sounding vocal loop that starts up the track followed by a delayed vocal sample and hand percussion, the song sounds like Seattle peers and collaborators Shabazz Palaces. Partway through the track one of the girls talks over the top and a deep electric piano chord progression comes in. Next up is ‘Moon God’ featuring JusMoni it begins with a thick synth through delay that recalls the duo’s previous album, then a deep, boomy bass drum kicks in bring with it an 808 snare and the slurring vocals of the girls. I really like the slippery deep bass guitar that’s buried deep in the mix. The EP finishes with ‘Pre Racial’ a track that combines tense strings that rise and then fall in a truncated loop over the top of an 808 beat. Towards the end of the track an acoustic piano melody and the words ‘the Obama planatation’ are dropped into the mix. The final spoken sample seems to a strange inclusion and seems ambigious is it politcal message. 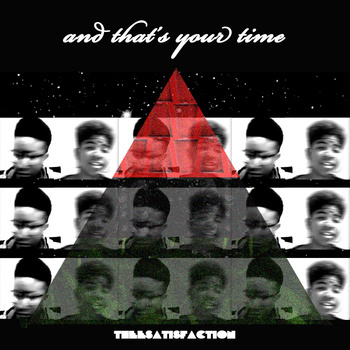 While I’m not disappointed with this new EP from Thee Satisfaction it does feel like just a collection of brief tracks that point to the directions they persue further on their forthcoming second album. There’s nothing wrong with this and it a release worth checking out but it might be worth investing in some of the duo’s earlier releases or sitting tight until the second album is released. Killer Mike and El-P’s collaborative album is called “R.A.P. Music” with good reason; it does everything that a modern hip-hop album should. The album has a consistency rarely present on guest and producer heavy albums while it manages to cover a lot of sonic and emotional territory without anything feeling put on. The music veers from huge sounding synthetic bangers (‘‘Big Beast’, ‘Southern Fried’ and ‘R.A.P. Music’) to emotive epics (‘Ghetto Gospel’, ‘Reagan’ and ‘Anywhere But Here’) via Southern rap flavoured tracks (‘Willie Burke Sherwood’, ‘Untitled’ and ‘Jo Jo’s Chillin’) and Killer Mike’s flow is just as diverse ranging from the enunciated words of ‘Reagan’ to the super speedy ‘Southern Fried’ and every point in between. What “R.A.P. Music” shows is that when hip-hop is stripped down to its core and rebuilt from button up, in addition to this despite his confident persona it’s clear that Killer Mike isn’t an egotist. He tells stories about other people in his life and discuss wider political issues, the lyrical themes that have been central to hip-hop since 1982 but feel so rare in 2012. “R.A.P. Music” was the first landmark hip-hop release of 2012, a great year for the genre as a whole. Nas returns with the superb new album “Life Is Good” a top hip-hop release in a year packed full of high quality hip-hop releases. Though the album doesn’t quite reach the heights of hip-hop classic “Illmatic” the quality rarely drops over the albums 14 tracks (18 on the deluxe edition). Nas balance’s a selection of solo joints complimented by well chosen collaborations with the likes of Large Professor, Amy Winehouse, Mary J. Blige and Anthony Hamilton amongst others. He also strikes a balance between hard hitting hip-hop tracks e.g. ‘The Don’, ‘Summer on Smash’ and ‘Accident Murderers’ with lighter summer jams e.g. ‘You Wouldn’t Understand’ and ‘Reach Out’ and jazz inflected tracks e.g. ‘Cherry Wine’ and ‘Stay’. Strings and piano are the dominate instruments and compliment the mature subject matter about the recent events in Nas’ life and his new found optimism. The cinematic scope of “Life Is Good” is stunning with Nas demonstrating that he has the gravity to compete with other blockbusting rappers like Jay-Z whose similar productions can sometimes sound hollow and overblown. The album rarely lets up its relentless pace but this no bad thing and none of the tracks out stay their welcome. On his most personal album to date Nas doesn’t pull any punches is his brutally honest tales of his own past and present, matching the vivid production of No I.D. and Salaam Remi (best known as Amy Winehouse’s producer on “Back to Black”) every step of the way! The much anticipated “Until the Quiet Comes” starts as it means to go on with subtle shuffling beats of ‘All In’ with bells and chimes that lead the way harmonically and melodically. These elements become the glue that holds together this elemental, organic and sophisticated release from the highly regard Flying Lotus. For much of his career he has balanced ghetto fabulous beats, drum ‘n’ bass/UK Bass music undertow with his families’ roots in jazz and spiritual music and this continues on “Until the Quiet Comes”. However, it’s the cool jazz and calm spiritual music that is the dominate force whereas previously it had played second fiddle to the glitches, electronic breaks and huge bass rumble of the current music scene. Not that the modern glitches and deep penetrating bass lines and beats are absent, they just play a subtler supporting role with the exception of the ‘Sultan’s Request’ and its thick, brittle digital sounding synth bass, which gets twice as heavy in the second half of the track. The album also sees Flying Lotus utilising vocal samples and guest vocalists much more effectively, a particularly good example is Thom Yorke’s contribution to ‘Electric Candyman’ in which Yorke’s vocals are expertly and sparingly used, whereas they appeared anonymous on “…and the world laughs with you” from “Cosmogramma” (2010). “Until the Quiet Comes” initially feels like it might greater longevity than “Cosmogramma”, which though it really hit home on the first couple listens, its impact dulled over time. It was also a busy and demanding listen, whereas space is utilised throughout “Until the Quiet Comes”, which allows the listener to “fixate on any one sound and extract feeling from it.” Time will tell if this feeling becomes reality but one thing’s for sure Flying Lotus has delivered a more than worthy follow up to what often viewed as his masterpiece. The latest album from the prolific Kid Koala takes a basic concept, expands on it and executes it to perfection. That concept is an album built around samples from old blues records put together using his trusty turntables and newly acquired Emu SP 1200 sampler. When I heard about this concept my initial thoughts were that this might be an overly dour album but Kid Koala proves me wrong with an album packed with hip-hop bangers that blow the cobwebs away!! Chirping synth and a vocal sample that says “the kids in rare form tonight” kick off the album before stride piano and boom-bap hip-hip beats enter to start off ‘1 bit blues’ properly, these elements turn out one of running themes throughout the album. But Kid Koala keeps the interest going with blistering guitar riff, analogue synth swiggles, sci-fi effects and a huge array of expertly deployed vocal samples. The highlights on the album range from the aforementioned opener, ‘4 bit blues’ where a down tempo hip-hop beat backs pitched down slurring vocal samples, heavy bass, brass and stride piano, ‘7 bit blues’ with its head nodding beat raucous guitar licks and subtle scratching and ‘8 bit blues (Chicago to NY to LA)’ with its expertly scratched vocal samples, neck breaking hip-hop beats and huge horns stabs. Kid Koala’s major achievement with “12 Bit Blues” is marrying modern sound elements such as the synths and the SP 1200 sampler beats with samples that date from close to a hundred years ago. As usual Kid Koala uses his turntables subtle to make the samples his own and add a modern rhythmic edge to his tracks. “12 Bit Blues” is a superb album that matches his career high “Carpel Tunnel Syndrome” and “Some of my Best Friends are DJs” track for track!!! In “awE naturalE” Thee Satisfaction have delivered an energetic album filled tracks that both provide amply bounce that’s need for a hip-hop jam but also manages to subtly subvert both traditional methods of creating sounds and challenge the overly simplistic ‘soulful’ vocals used so liberally in hip-hop music. It’s refreshing to hear an act pushing the limits of hip-hop while still managing to make music that moves your body. The fact that these tracks are stuffed to the gills with affecting vocals, jazzy tunes and an expressive emotional palette makes an engaging and entertaining listen. From the opening disorienting swirl of ‘Awe’ to the fast moving finale of ‘Naturale’ via album highlights ‘Earthseed’ with its dark and dank atmopsherics and vocal the curve their way through notes, ‘Queens’ seductive and slippery groove and ‘Enchantess’ a darker twist on ‘Queens’ with pitched down vocals and a guest rap from Palaceer Lazaro of Shabazz Palaces. The half an hour run time demands that the album be played again immediately and is the album is equally satisfying and reveals more of its charms with each repeat listen. Thee Satisfaction never out staying their welcome and yet able to go distance on the longer tracks, if you like original, warm music with depth and attitude “awE naturalE” will be a welcome addition to your music collection. I was quick to praise Blockhead’s last album “The Music Scene” (2010) but was quick to fell out of love with it on return visits. “Interludes After Midnight” promises to be an album that I enjoy for a lot longer as repeats listening has reaped greater rewards. The album consolidates everything that Blockhead has achieved in his solo career to date but crucially also learns lessons from “The Music Scene” and achieves it ambitious aims where that album had failed. In the end “The Music Scene” felt like Blockhead was just getting to know his new software Ableton Live but the album actually feels ‘live’ and can’t be directly attributed to the sounds or techniques of any particular software. Regular fans of the Ninja Tune labels output will instantly warm to this music and bares comparison to Bonobo’s solo work and “Sound Mirrors” by label head honchos Coldcut, as well as 70’s T.V. and soundtrack music, particular Bernard Herrman’s “Taxi Driver” score. The arrangements on “Interludes After Midnight” are inventive throughout a classic example being ‘Never Forget Your Token’ which starts out with electric piano and oddly pitched male vocals but ends with a twisted electric guitar unrecognizable from its first half. These arrangements could be jarring but instead feel completely natural as Blockhead’s well thought out concepts and production nous holds everything together. It’s rare to find a beat maker as distinct as Blockhead and he deserves far greater recognition and praise than he currently receives. All-in-all a superb instrumental hip-hop album; where ambition is matched by the quality of each track from top to bottom. In some ways “Cancer 4 Cure” is business as usual for El-P, all the usual signifiers are in place, his lurching, crushing beats, massive dirty synth bass-lines, stuttering vocal samples, stabbing instrument samples. However, one that’s no bad thing and two I believe this is an artist who subtly evolves his sound with each new release. The first difference that jumps out at me is that whereas in the past there were only hints of film music influences on El-P’s production’s “Cancer For The Cure” makes this explicit with a majority of the tracks shot through with a dystopian atmosphere akin to John Carpenter’s soundtracks to “Escape From New York” and “Assault on Precinct 13”. Further to this the album repositions El-P as “a real hip-hop focused musician rather than a beatmaker”; the musicality is turned up to ten and so this already heavy music makes an even greater impact. The album also features a couple of El-P’s most minimal and spacious tracks to date in ‘Stay Down’, ‘Sign Here’ and ‘The Jig Is Up’, in addition to this melodic vocals feature on ‘For My Upstairs Neighbor’, ‘Oh Hail No’ and ‘Works Every Time’. The album feels more thematically together than “I’ll Sleep When Your Dead” (which was great album) and this makes the album feel like it’ll maintain it impact over a longer time. Oh No’s “OhNoMite”’s overall sound and approach harks back to classic 90’s hip-hop sound though the source material is entirely made up of samples from Rudy Ray Moore’s audio achieves drawing heavily on the soundtrack to Blaxploitation film “Dolemite” from which the album takes its title. As a result of this the album is pack full of funk loops, smoky jazz chords and swinging tough hip-hop beats that get your head nodding. The album is stuffed with guest appears but doesn’t suffer from attention deficit disorder, each MC contributing high quality raps that fit into the album overall theme. The old skool styling’s of album don’t get in the way of enjoying it, in fact it’s a major part of “OhNoMite”’s appeal. One of the stand-out elements of the album is the fantastic array of analogue synth sounds that feature throughout; it’s also a sound that doesn’t always bed in well in straight hip-hop tracks, in my opinion and Oh No’s production’s successful ingrate them with thrilling results. This is a thoroughly brilliant and refreshing hip-hop record that will appeal to fans of Madlib, The Alchemist and filthy funk 90s classic hip-hop. “Vicious Lies and Dangerous Rumours” is an ambitious and highly emotive album, one that fuses together 80’s funk, new wave and ambient synth textures with Big Boi’s trademark Dirty South hip-hop style. It is in short Big Boi’s pop album and rivals fellow OutKast member Andre 3000’s “The Love Below” as the finest pop entry in their respective back catalogues. This is the album that I thought I’d be hearing from Andre 3000 when he got around to making his debut solo album but Big Boi has beaten him to the punch. I’d go as far that is the most emotional raw and broad hip-hop since Kanye West released “808s and Heartbreak” (2008). It’s difficult to single out highlights on an album where quality level never drops from start to finish, this could be an overcooked and busy affair with seventeen tracks and many more collaborators but Big Boi and his opulent backing tracks gel with everything single contributor. Whether it’s the swarming strings of ‘The Thickets’, the 100% electro fest that is ‘Thom Pettie’ or the lush 80’s funk come-on’s of closer ‘She Said Ok’ it all just works even when it shouldn’t. Big Boi recently proclaimed his love of Kate Bush’s music and this influence runs through the whole album informing its lush synthetic and acoustic textures and arrangements. Prince is another 80’s pop star whose influence is a regular feature on the album and it’s no bad thing even on the out-and-out cheese fests of ‘Raspberries’, ‘Descending’ and ‘She Said Ok’, the influence is always present on 80’s funk numbers ‘Apple of my Eye’ and ‘Higher Res’. I didn’t think I’d be writing this but with “Vicious Lies and Dangerous Rumours” Big Boi might have just trumped his debut solo album“Sir Lucious Left Foot: Son of Chico Dusty” (2010). The long awaited new solo album by cLOUDDEAD co-founder Doseone is one of the finest releases by any member of that trio since their self titled debut album in 2001. It picks up where the last Subtle (a spin off project from Doseone and Jel of cLOUDDEAD) left off but with a much greater emphasis on space and pop hooks. Throughout Doseone strikes a balance between chip tune elements, deep probing electro beats and strong melodic content. The releases of cLOUDDEAD and their related projects have always used ambience in conjunction with beats and rapping but here it feels more like Doseone is tapping into a rich vein of dream-pop that recalls the Cocteau Twins in their 80’s pomp. The new found space and melodic clarity make for a more immediate listening experience though there are still enough twists and turns to keep long time fans interested, I’m sure some will see this as a compromise but this genuinely feels like a natural evolution for a unique artist. Wow, this year has been an exceptional musically and its been so difficult to narrow down these Top Ten Releases of the Year..so far and Honourable Mentions. Aside from the releases in this feature I’ve been enjoying releases by Olafur Arnalds and Nils Frahms, Blockhead, Quakers, Andrew Bird, Errors, Black Bananas, Air, Islet, and Laurel Halo. Ital’s debut album makes for an interesting listening experience, though this is dance music, it’s unlike to set many dance floors alight. However, this doesn’t make it the album a failure; in fact its inverting of house and techno music structures is a thrilling and disorienting experience. Though by no means a direct comparison its seems that Ital is attempting something similar to Axel Willner aka The Field though Willner inverts the structures of techno, Ital disrupts and stretches them to their limits. Another indirect reference point is that of Cabaret Voltaire’s 80’s era music (and founder Richard H. Kirk’s work as part of Sweet Exorcist, recently anthologised by Warp Records) this seems to a constant in the drum and the influence crops up most obvious on ‘First Wave’ with added disorienting rhythms and synths. The most obvious direct influence outside of dance music is the kosmiche musick of Cluster, Harmonia and to a less extent Tangerine Dream, in fact ‘Floridian Void’ (the highlight of the album) sounds a little like a dark techno take on fellow American kosmiche musick enthusiast Emeralds. I feel sure that the debate about ‘Hive Mind’ will continue throughout the year as it could well turn to be one of those albums the confounds and confuses as much as it thrills and provokes thoughtful analysis. “Iradelphic” occupies similar sonic territory as the music put out by the Ghost Box label, especially the most recent album by The Belbury Poly, so it seems appropriate that Ghost Box co-founder Julian House produced the artwork for the album. The album combines folk elements such as acoustic guitars, double bass, acoustic drums and strings with synth drones, arpeggios, electronic drums and percussion and psychedelic effects. The icing on the cake is the vocals of Martina Topley-Bird who provides vocals on ‘Broken Kite Footage’, ‘The Pining Part 2’, ‘Secret’ and ‘Open’. The album divides itself into two song types of track more song based and more drone based soundtrack music/palette cleansers and Clark switches effortlessly between the two showing his diversity as an artist. Another string to his bow is that even the song based material features unexpected twists and turns to keep the listener on their toes. With “Iradelphic” Clark confirms himself as deserving of a place among Warp’s most vaulted artists, his varied career to date has rarely seen a drop in quality, he is the equal of Aphex Twin, Autechre and Boards of Canada. “Labour Division” is the debut album by U.K. techno duo Forward Strategy Group following a series of EP’s that have garnered much attention on the techno underground. The album begins with a tension building intro track ‘Indent’ before this really get going on the electro tinged ‘Mandate’ with its arpeggiated, tough bass synth underpinning delay heavy synth FX’s and minimal drums and hi-hats, a real techno juggernaut. From then on scene is set and the duo switch from the disjointed industrial rhythms of ‘Mandate’ and ‘Elegant Mistakes’ (which fits perfectly into Perc Trax current developments) and out and out techno thumpers all filled with tense and taut atmosphere, found sound and influences of 80’s electronic music and experimental post-punk sounds. Tension only lets up on ‘Nihil Novi’ a lighter and more spacious track that features noises that cut through the drums sound and like a steam train. Though “Labour Division” serves first and foremost as functional techno album with plenty of tracks that will be spun in DJ sets, there is also enough experimental sound design and percussion sounds and patterns that it sometimes recalls peers Factory Floor and Carter Tutti Void live electronic mutations. “Labour Division” is an album through and through, properly paced and conceptually put together not like a majority of techno albums that are either an extension of a DJ set or DJ tools. Like their label boss Perc and his own album “Wicker and Steel” Forward Strategy Group are leading the way in innovative techno music. In some ways this is business as usual for El-P, all the usual signifiers are in place, his lurching, crushing beats, massive dirty synth bass-lines, stuttering vocal samples, stabbing instrument samples. However, one that’s no bad thing and two I believe this is an artist who subtly evolves his sound with each new release. The first difference that jumps out at me is that whereas in the past there were only hints of film music influences on El-P’s production’s “Cancer For The Cure” makes this explicit with a majority of the tracks shot through with a dystopian atmosphere akin to John Carpenter’s soundtracks to “Escape From New York” & “Assault on Precinct 13”. Further to this the album repositions El-P as “a real hip-hop focused musician rather than a beatmaker”; the musicality is turned up to ten and so this already heavy music makes an even greater impact. The album also features a couple of El-P’s most minimal and spacious tracks to date in ‘Stay Down’, ‘Sign Here’ and ‘The Jig Is Up’, in addition to this melodic vocals feature on ‘For My Upstairs Neighbor’, ‘Oh Hail No’ and ‘Works Every Time’. The album feels more thematically together than “I’ll Sleep When Your Dead” (which was great album) and this makes the album feel like it’ll maintain it impact over a longer time. “Cancer For The Cure” runs Killer Mike’s (El-P produced) “R.A.P. Music” and Thee Satisfaction’s “awenaturalE” close for best hip-hop album of year..so far!!! On ‘Themes for an Imaginary Film” Symmetry aka Johnny Jewel and cohort Nat Walker (of Chromatics and Desire) cover a huge range of emotional and musical ground utilising banks of synths, drum machines, guitar, piano, orchestral percussion, Bassoon, Cello and Viola. Despite the vast array of moods and instruments on show the duo create a cohesive and impressive album that wastes non of its 2 hour running time. Though some of material and sounds used recall Johnny Jewel’s many other projects there much evidence of his application of more compositional techniques found film scores and he weaves this into this ambitious album with aplomb. From the song titles to some the sounds selected the album screams film score however this no mere pastiche, more a humble doffing of the cap to the many great score composers that have gone before. In addition to this is the fantastic sound design which ranges from lush, warm and beautiful through to cold, spiky and dissonant, Symmetry and their equipment can feel you with dread, put a smile on your face and everything in between. “Themes for an Imaginary Film” is an amazing achievement that could have so easily failed to live in to its ambition but instead goes above and beyond simply being a tribute to soundtrack music as it captivates and thrills the listener in equal measure. Two hours of instrumental music (with the exception of the last track) won’t be for everyone but it’ll be worth it for those who stick with this incredible album. Mirrroring is a collaboration that was bound to happen sooner or later between Liz Harris aka Grouper and Jesy Fortino aka Tiny Vipers whose individual styles are so obviously complimentary it was only a matter of time before they worked together. “Foreign Body” is the breathtakingly beautiful result of said collaboration and brings together the transparent drones of Harris’s songs with the picked acoustic guitars and soft vocals of Fortino. Their sound is both gentle and yet thoroughly engaging, it may be lighter than much drone music but it isn’t light-weight. The dynamics employed across the whole album are one of the most striking things about it and demonstrate these are skilled artists able to exercise control while never strangling the life and emotion from a musical idea. The two best examples of this are ‘Cliffs’ which builds to a peak at the halfway stage before repeating an even better version of the song for its second half and ‘Mine’ which starts with a simple drone and acoustic guitar combination builds to a peak and then gradually twists itself into ever more complex shapes. It’s difficult to find the words to describe this astonishing album; it has to be heard to be believed. In “awE naturalE” Thee Satisfaction have delivered an energetic album filled tracks that both provide amply bounce need for a hip-hop jam but also manages to subtly subvert both traditional methods of creating sounds and challenge the overly simplistic ‘soulful’ vocals used so liberally in hip-hop music. It refreshing to hear an act pushing the limits of hip-hop while still managing to make music that moves your body. The fact that these tracks are stuffed to the gills with soulful vocals, jazzy tunes and an expressive emotional palette makes an engaging and entertaining listen. The half an hour run time demands that the album be played again immediately and is the album is equal satisfying and reveals more of its charms with each repeat listen. Never out staying their welcome and yet able to go distance on the longer tracks Thee Satisfaction will be a welcome addition to your music collection. This album picks up where Broderick left off with his last solo release “Music for Confluence” and features the same basic instrumentation acoustic/electric guitar, piano and violin. However, there are subtle and not so subtle ways this album manages to differentiate its self from “Music for Confluence”, firstly this isn’t a film soundtrack and thus allows Broderick more freedom of expression. The most obvious ways this freedom is expressed is the album brighter and sometimes more upbeat sound and the fact that Broderick’s lead vocals (which sometimes sound a little like Arthur Russell) dominate whereas only backing vocals were present on “Music for Confluence”. In fact the album features a lot more melodic materials full stop and married with Broderick’s expert use of harmony, reverb and others effects to create atmosphere it makes for much more dynamic material. Throughout the album Broderick successfully tightrope walks between accessibility and pushing the listener beyond their expectations. He achieves this not only with his melodic work and use of effects but also unpredictable song structures on ‘With The Notes on Fire’ (like two songs in one), ‘Colin’ (which initially sounds like the rest of the album before the introduction of percussion pushes the song in a new direction) and ‘Asleep’ and its use of crowd source readings of the lyrics from around the world that disorient and delight in equal measure. “Music for Confluence” is a great album and “http://www.itstartshere.com” is its equal and perfect companion piece. Blondes self titled debut album sees the duo marrying together modern dance music influenced by the likes of The Field, Gui Boratto and other Kompakt techno alumni and modern Ambient and hynagogic pop acts such as Laurel Halo, Teengirl Fantasy and Rene Hell amongst others. Blondes manage to fuse these two opposites together in way that plays to the strengths of both, you never feel the dance elements are getting bogged down by the atmospherics or that the atmospherics are dominated by the dance elements. The duo encompass a range of emotions across the album from the brighter tracks like ‘Gold’ and ‘Amber’ to the dark and subdued ‘Pleasure via drowned Kraftwerkian synth work on ‘Business’ and foggy tension of ‘Water’. One of the album’s strength is that despite the amount of recycling there is (every second track is a re-versioning of the previous track) the variety on show is impressive as is the duo’s ability to keep the listener engaged and excited by these same/similar elements. Repeat listens reveal more and more detail and that music is underpinned by a subtle influence from the classical minimalism of Steve Reich and Meredith Monk (who the duo sample on ‘Lover’). All in all a great debut album that promises plenty for the future. This EP has been talked about/marketed as Ekoplekz’s first venture into dance floor territory and listening to it you can hear why. However, Ekplekz still keeps his trademark sounds front and centre but the EP uses space more effectively and percussive sounds and deep bass provide the forward motion need. Of the three originals ‘Ekoplatz’ sounds most like his previous material while being underpinned by techno bass and percussion, the other two ‘Narco Samba’ and ‘Xylem Teardrops’ fill more stripped and danceable, while Richard H. Kirk (Cabaret Voltaire) remix of ‘Ekoplatz’ follows a similar template but adds electronic woodblocks, more structural dynamics and some of Kirk’s own idiosyncratic dub sounds. A highly recommended release for those into the darker side of dance music. This album uses just one synth as its primary mode of composition but Geoff Barrow (Portishead) and BBC composer Ben Salisbury manage to make limitation the mother of invention creating everything from intense drone heavy soundscapes to arpeggio led tracks via more delicate and reflective moments. In many ways the album bears comparison with this year’s other imaginary soundtrack album “Themes for an Imaginary Film” by Symmetry and though it’s not as ambitious as Symmetry’s album its equally as satisfying a listen. Drawing on many classic synth soundtrack staples such as John Carpenter, Vangelis, Walter/Wendy Carlos and with hints of the BBC Radiophonic Workshop and other T.V. music from the 70’s and 80’s. However, repeat plays reveal this isn’t an album that merely imitates and pays homage but reaches the same heights as those great synth soundtrack composers, the album throbs with the tension of a Carpenter score, while Vangelis arpeggios abound and experimental sounds that the Radiophonic Workshop and Walter/Wendy Carlos are thrown in at the appropriate moment and to keep the listener guessing. If Symmetry’s album is the Hollywood blockbuster then “Drokk…” is a homemade marvel and all the better for it. Killer Mike and El-P’s collaborative is called “R.A.P. Music” with good reason, it does everything that a modern hip-hop album should. The album has a consistency rarely present on guest and producer heavy albums while it manages to cover a lot of sonic and emotional territory without anything feeling off or put on. The music veers from huge sounding synthetic bangers (‘‘Big Beast’, ‘Southern Fried’ and ‘R.A.P. Music’) to emotive epics (‘Ghetto Gospel’, ‘Reagan’ and ‘Anywhere But Here’) via Southern rap flavoured tracks (‘Willie Burke Sherwood’, ‘Untitled’ and ‘Jo Jo’s Chillin’) and Killer Mike’s flow is just as diverse ranging from the enunciated words of ‘Reagan’ to the super speedy ‘Southern Fried’ and every point in between. What “R.A.P. Music” shows is that when hip-hop is stripped down to its core and rebuilt from button up, in addition to this despite his confident persona it’s clear that Killer Mike isn’t an egotist. He tells stories about other people in his life and discuss wider political issues, the lyrical themes that have been central to hip-hop since 1982 but feel so rare in 2012. “R.A.P. Music” is the first landmark hip-hop release of 2012 and I’m optimistic this can be a very good year for the genre as a whole. The debut album from this Seattle duo (Rafael Anton Irisarri (The Sight Below) and Benoit Pioulard’s (aka Thomas Meluch) leaves me lost for words, one of those albums that difficult to describe without selling it short. However, I will endeavour to paint a picture of this heartbreakingly beautiful music. The dominate sounds are plaintive piano, twanging to ethereal guitars and vocals and various crackles, hums and heavily processed electronic sounds. These simple elements are manipulated to create different textures, atmospheres and emotions across nine tracks. Though the duo have created a sound of their own there are some influences/inspirations suggested by the music including Peter Broderick & Harold Budd and Robin Guthrie’s soundtrack work, the noise abstract pop of Broadcast (who are covered on the album) and indirectly reminds me of the latest Oneohtrix Point Never album “Replica”. All this is held together by the song writing touches that are subtly weaved throughout the album helping this album raise above more generic ambient and experimental music releases. The “Spring EP” picks up where Laurel Halo left off with the “Hour Logic EP” last summer, though she has some tricks up her sleeve and the music is a lot harder to pin down. Here the rhythms wiggle and squirm restless and constantly shifting not settling into a smooth groove, this is one of the things that makes the EP so exciting you’re never quite sure what’s coming next. The first three tracks are all a variation on the same theme, Halo is so inventive within this limitation that the listener is never bored by the central theme. I’m not an expert on techno but it seems to me that Halo has carved out her own style while referencing the glory years of early Nineties Detroit techno. The other crucial difference between this EP and “Hour Logic” is that whereas many of the tracks on the previous EP sound submerged beneath water this is Halo least veiled work to date; she lets the tracks reveal themselves and breathe, all the elements able to exhibit themselves equally. The “Spring EP” is a fantastic addition to Halo’s discography. The first thing that marks “Ekstasis” out from both last year’s excellent “Tragedy” and her peers music is the brightness of its sound, gone is the shadowy and foggy atmosphere’s replaced by a sharp and incisive production job to revival today’s most intelligent pop stars. While it’s true that Holter’s not going to be the next million selling pop star this album’s production positions this music as “pop” and the abundance of hooks and melodies only reinforces this point. Then there’s the effortless feel of a lot of the music, despite many of the tracks being over 6 minutes in length. There’s no feeling of over indulgence even when a saxophone rears its head on ‘Four Gardens’ and ‘This Is Ekstasis’ everything here earns its place and makes sense within the context of the songs. It would be tempting to compare Holter to her many contemporaries within the hypnogogic pop genre especially her friend and collaborator Nite Jewel. Though her use of delay and reverb create similar feelings/images the musical and lyrical content aims instead to transport the listener further back than the 1980s and into the ancient world which Holter is so interested in. 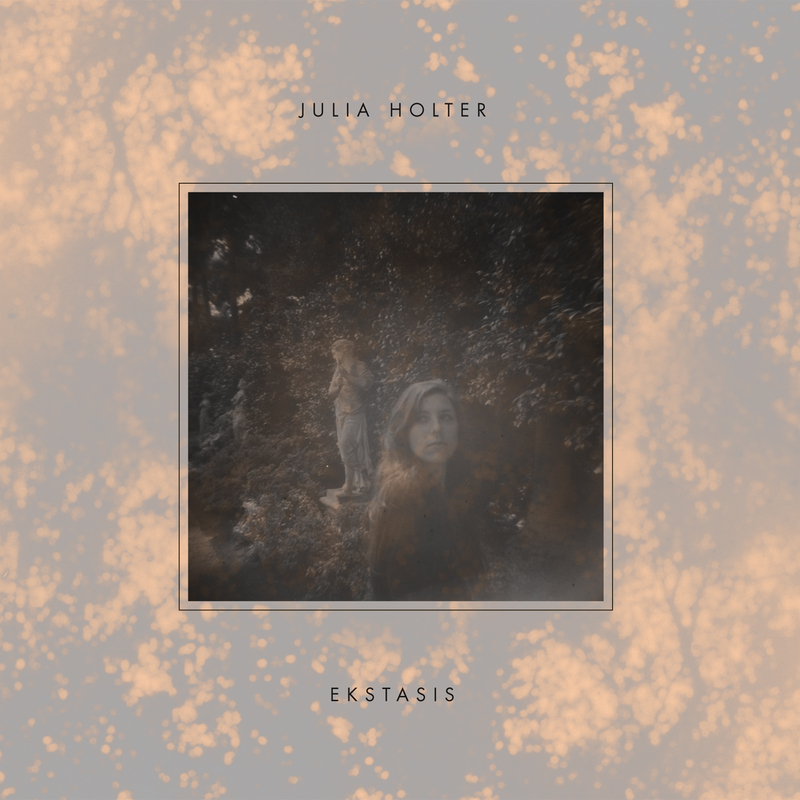 With “Ekstasis” Holter has created her own sound world that seems to subtly reference pre-existing sounds/genres and rhythms without ever sounding directly like anything you’ve previously heard. An artist who can switch with ease between different sounds and sections without breaking a sweat or alienating the listener, Holter is an artist with a bright and long future ahead of her.